Description: Annnnnd… Fireball. Incinerates a small area, dealing high damage. Reduced damage to Crown Towers. The Fireball card is a spell that can be used to deal with small and medium sized troops. It has a smaller radius than the Arrow and has a cast time. 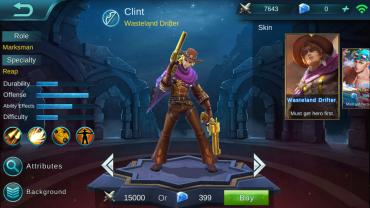 You also need to aim your fireball as well. Cluttered Medium Troops – When your opponent likes to use Baby Dragon, Knight, Musketeer, Witch or any medium health units, Fireball can be used to weaken them and burst them down with the help of your towers. Goblin Barrel – You can use it against Goblin Barrel, but Arrows is the cheaper and better alternative. 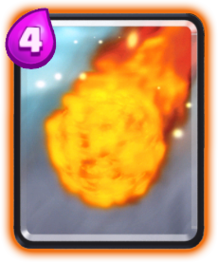 Barbarians and Hog Riders – With the Barbarian’s and Hog Rider’s decent health, Fireball can help weaken them before your towers take them out. Gain Troop Advantage – When you and your opponent are engaged in a troop battle and you want to gain a troop advantage, use Fireball if they are cluttered.